I’ve mentioned my tactical asset allocation efforts in a couple of previous posts. Both of those have been somewhat vague about how I actually decide on the stock/bond split, although not deliberately so. If Ben Graham can shout out the Net Net method to the world over 50 years ago and not have its effectiveness affected, then surely my tiny wispers on the web can do my approach no harm. In fact it may to some miniscule degree make the markets more efficient. Like the proverbial fly stopping an oncoming supertanker. Perhaps I may even win a Nobel Prize, but I doubt it. Both Shiller and Smithers and others have shown that it is possible to value markets and that market valuations are bound by an invisible elastic thread to both earnings and assets. More importantly, these valuations allow you to say something about the expected future returns. Higher valuations mean lower expected returns and lower valuations mean higher expected returns. Also, average valuations mean average expected returns. Shiller’s CAPE (Cycically Adjusted Price Earnings) is my starting point when looking at earnings related valuations. This is the ratio of current market price to the market’s average real earnings over the past decade. For the S&P500 the long term average CAPE is currently 16.35 and is shown below as the horizontal line. The data for this can be found here. So you can see that 1920 was a good time to invest in the US, as was 1932, but 1929 was not so good, nor was 2000. If you had calculated CAPE at the time and compared it with the long term average then you would have been able to see that this was true. Perhaps you could have even adjusted your portfolio to take advantage of this insight. This was entirely possible since the long term average CAPE was about 15.5 in 1920, 14.8 in 1929 and 1932, and 15.5 in 2000. None of these values are much different than todays average of 16.35. In fact it does look like 16.35 is skewed by the recent liquidity bubble since the 1980’s, so nearer 15 may be nearer the true average. I’ll check again in 20 years. A nice mental image is to see the current CAPE as being attached to its long term average by a piece of elastic. The further it gets from the average the more force there is pulling it back to the average. It becomes more likely that price will move CAPE back toward the average rather than continue away from it. Eventually probability and mean reversion win the battle against fear and greed. For the FTSE 100 I have data going back to 1993 (if someone has better then please let me know). This gives me CAPE values from 2002 to 2010, the average of which is 16.47. If I include the earlier years, averaging for what years I have (i.e. in 2001 I only have 9 years of earnings to average and 1993 only 1 year) then I get a somewhat fudged long term CAPE average from 1993 to 2010 of 18.7. The higher value isn’t a suprise as this period covers the dot com bubble. Overall I don’t think these values are too different from the US long term average, so my working assumption in the absence of better data is that the FTSE 100 long term average CAPE is the same as the S&P500’s. Of course this isn’t true but fiddling with the numbers doesn’t in the end produce meaningful differences; saying the average was 15 or 20 produces similar results. The next thing to do is dream up some sort of function to decide on the stock/bond split. By looking at the chart above you can see that the CAPE value never really gets below about 5, and only twice goes above 30. My assumption is that it would probably be a good idea to be 100% in stocks near the low points and 100% out of stocks at the high point, and to have an average amount of stocks, say 30 or 40%, when CAPE is at an average value. Again, whether the limit values are 100% or 90% doesn’t make much difference. 5 is pretty close to 8, which is half the long term average. 30 is pretty close to 32, which is twice the long term average. This gave me the nice simple and dare I say it elegant idea of adjusting my allocation to stocks as CAPE moves between half and double its long term average. A simple transform function can take the current CAPE and adjust it to give a percentage between 0 and 100. 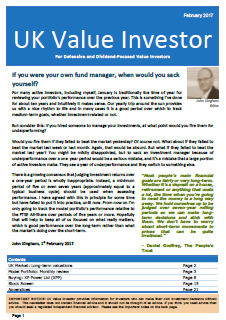 As the market gets gradually more expensive the stock allocation reduces. This is in line with the reducing expected future returns of stocks, and the increasing risk. Here I’m measuring risk as the increased likelyhood of the market falling from current levels, rather than as volatility. Hidden in that sentence is, I think, the key to value investing. So now I have a function which tells me how much to hold in stocks depending on the value of CAPE. If cape is 8.18 I’ll have 100% in stocks (and we saw about that level in March 2009). If CAPE is 32.7 I’ll have 0% in stocks. If CAPE is the long term average of 16.35 I’ll have 66% in stocks, which is pretty close to the 60/40 split reccomended in many places. The results of this function can be seen below, using my slightly fudged CAPE values for pre-2002 years. In this chart the split is between stocks and high interest cash accounts as defined in swanlopark. The FTSE 100 plot is with dividends reinvested; 60/40 is 60% FTSE 100 and 40% cash; and the cash plot is the high interest cash. TAA is the asset allocation portfolio. It is rebalanced annually to bring the allocations back into line according to CAPE. Trading costs should be negligible. And there we have it. An approach which gives roughly the same results as the market with much less risk. More importantly it does it without the terrifying drawdowns that the FTSE 100 has. It’s much easier on the mind, which makes it easier to stay invested for the long term. I know this first hand having seen relatives selling out last March after 50% declines. Now they are still in cash and regretting ever getting out. I like what you have done. It is very similar to Prof John Hussmans Peak to P/E ratio which provides a broad measure of index valuations and what the basic stock/bond split should be. It is also like using the Graham & Dodd P/E. 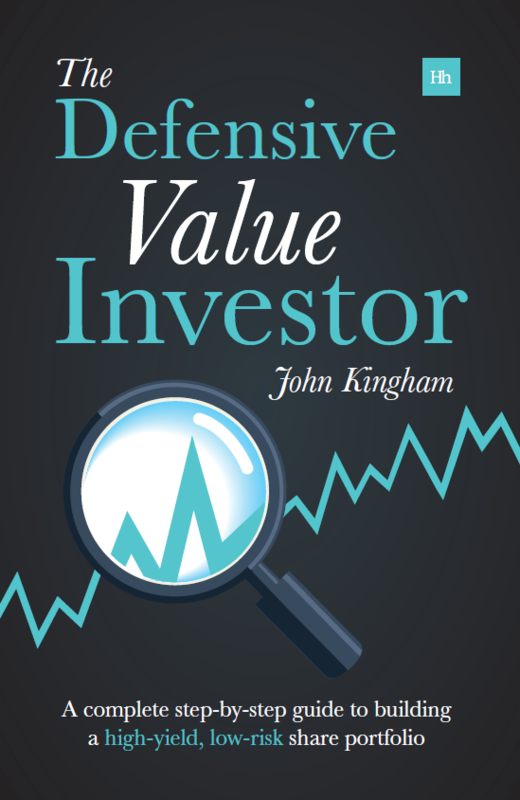 I would like to discuss value investing with you if have a spare moment. Thanks. I think any effort to smooth out past earnings (whether by averages or peak and for individual companies or markets) is likely to be worthwhile. If you like you can reach me on ukvalueinvestor at gmail dot com, I just never seem to get around to a contact page. Glaxosmithkline seems to be a great value pick at this time. The stock meets most investment strategies as listed in http://www.investmentmaxim.com. Has a definite margin of safety at this levels. I like the valuation based approach to asset allocation, and have been experimenting with it myself. I’m the first to admit that maths is not my strongest point, but I have a few queries about this article. 1. In para. 7 you say, “… and to have an average amount of stocks, say 30 or 40%, when CAPE is at an average value”, but a couple of paragraphs later, you say, “If CAPE is the long term average of 16.35 I’ll have 66% in stocks”. These two statements seem contradictory. 66%, as produced by the formula, seems quite a bullish allocation for a market at fair value. 2. Trying to work your formula through, should it be 1 – ( etc,), then x100 at the end of the calculation, rather than 100 – at the beginning? 3. Have you experimented with more frequent rebalancing – monthly or quarterly say? 4. Another approach I’ve played with is 100 minus the percentile value of the current CAPE relative to all previous values. The latest value is 20.86, which is in the 80th percentile so only 20% would be in equities. It went to 65% equities in March 2009. It’s much more conservative, obviously. 1. Yes this is a typo. The ‘average’ amount of stocks would occur when the market is at a ‘normal’ level and that allocation would be 66% using the model from the post. The 30-40% would be for the cash or bond allocation. I don’t think 66% is that bullish with markets at ‘normal’ levels. The typical allocation mentioned is 60/40, but 66/33 is also quite often bandied about. I think they’re both fairly reasonable. 2. Yes, you’re right again! Although the x100 at the end is only required to convert into a % figure. I always thought that function looked horribly overcomplicated. The way I think of it now is that there is a scale from a CAPE of 7.5 to a CAPE of 30 (assuming the long term average was 15, a nice round number). If the current CAPE is 7.5 then it is 0% of the way towards the ‘bubble’ figure of 30. If the current CAPE were 15 then it is 33% of the way towards the bubble zone so I’d have 33% in cash… etc, right up to the CAPE being 30 and therefore 100% of the way to 30, so I’d be 100% in cash. Of course it’s fairly easy to adjust if your max and min figures aren’t zero and 100, they might be say 25% min and 75% max in stocks. 3. I haven’t had the time really and also I wanted this approach for my zero-effort account and rebalancing takes effort! Once a year is good enough for me for now. 4. I think that’s probably very similar but with a 50% baseline rather than 66%. You could use some mathematical jiggery pokery to make the 50th percentile equal whatever default weighting you wanted. That’s an interesting approach and I might run some backtesting with it. Thanks. I have for a long time wanted to apply this sort of thing to the Shiller data because it covers such a long period, to see how it stands up. Haven’t found the time yet but perhaps over Christmas with a mince pie. Thanks for the links, I haven’t really seem many other mechanical asset allocation strategies based on these sorts of long term valuation measures. Thanks again for the comment, it’s been enjoyable going over this strategy again. If I wasn’t a stock picker I’d probably just use this approach and save myself hundreds of hours a year.